Call for exclusive offers and a personable service not available online. The size given is the internal frame size opening for the door to go into. The door will come slightly smaller to allow for opening tolerances. Any framework will be additional to this size. 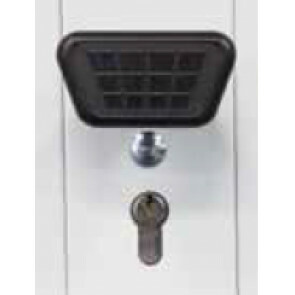 All sizes on our website are given width by height. 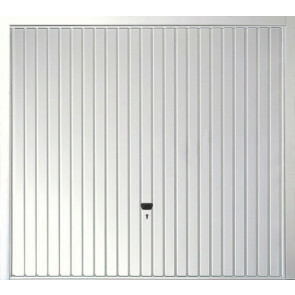 The steel doors that we sell are constructed using premium grade galvanised steel making them both secure and corrosion resistant. We have the largest range of finishes available for these doors including powder coated solid colours and laminated wood effect finishes. 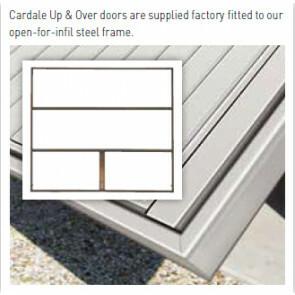 The doors are manufactured in Britain and have unique deep pressed panels giving a high level of panel detail. Buying a Door Unframed: If you are looking to buy a door without the frame, there is minimum frame requirements needed for the doors to fit and work correctly. For a Canopy Door, you will need a minimum of a 54mm frame, any lower than this the door will not fit/work. For a Retractable Door, you will need a minimum frame of 70mm, any smaller than this the door will not fit/work. We will not be held responsible for attempting to fit a door with frames/openings smaller than advised. Please note: Sizes shown are displayed as (Width x Height) and frame sizes are not included in these measurements. If you are unsure or need help on sizing up, please do call our sales team, they will be more than happy to help you.